Drop and Render is a Dutch 24/7 render farm for designed for Cinema 4D. 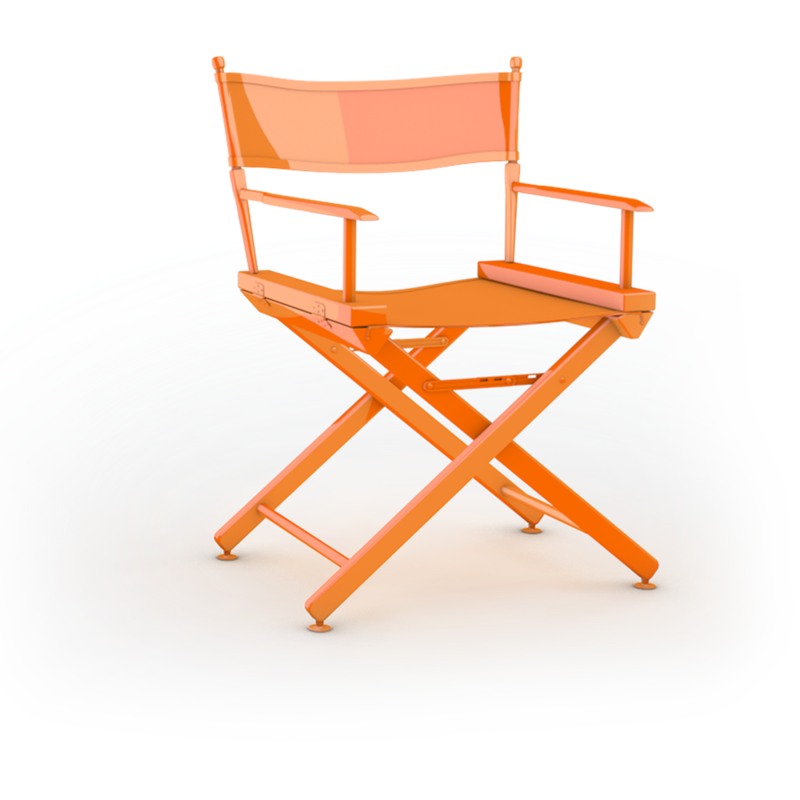 X-Particles 4.0 – TFD – Realflow – TGS Plugins – GSG Products and many more. 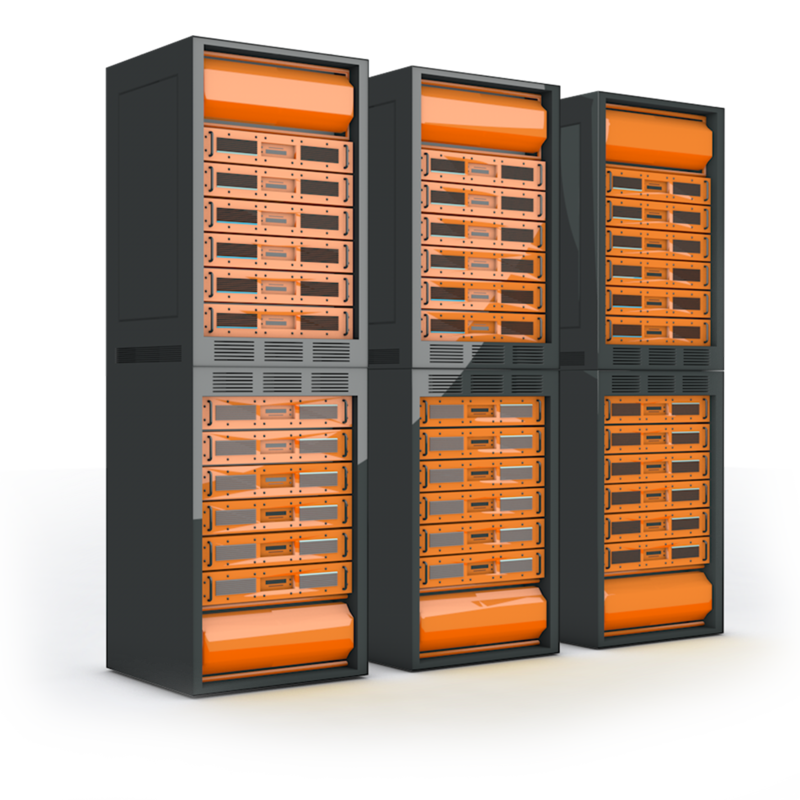 Our systems are here to dramatically decrease the amount of time needed to complete a render. Valuable time, we believe could be used so much better on working on and exploring new creative ideas. 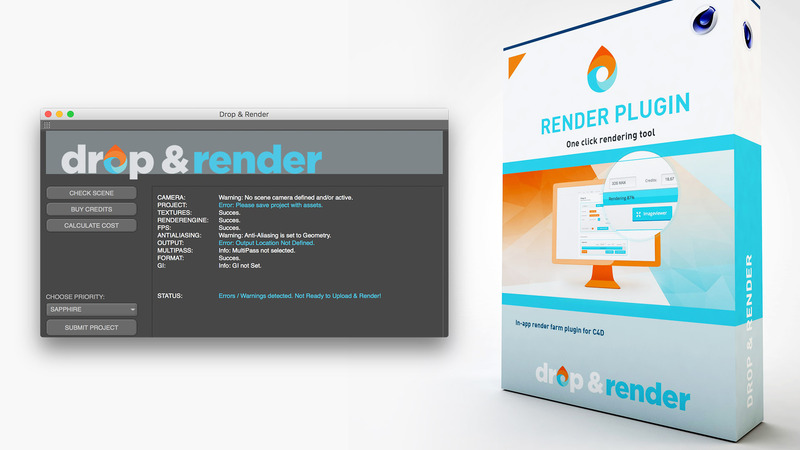 Our render farm plugin allows you to never leave your favourite 3d application. 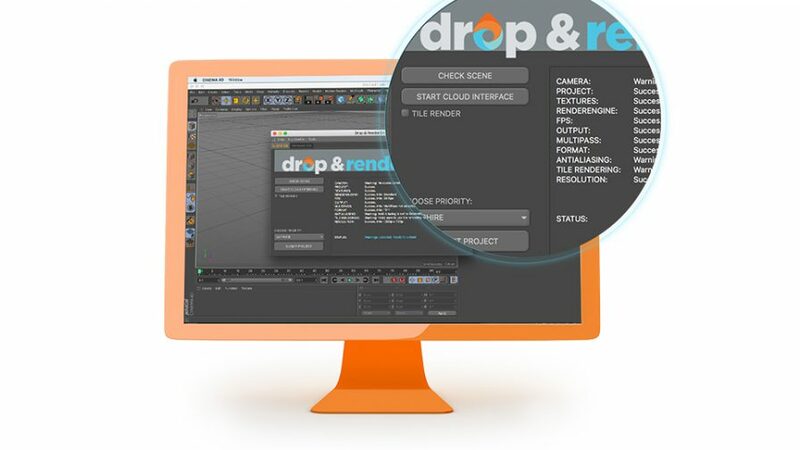 They safely send all your settings to our servers and store the rendered frames automatically on your hard drive. This means no more additional steps to obtain your files or waiting for downloads that take forever. 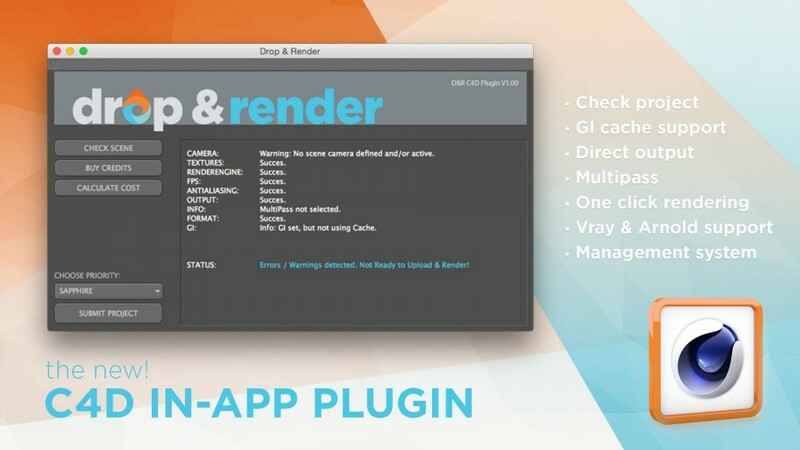 Start working with your rendered files immediately!